A wireless doorbell provides a new option to alert you when a visitor has arrived at the front of your home. While previously only a wired doorbell was available, which was a pain to install, the modern wireless version now features stylish designs and better weatherproofing to ensure your bell keeps working come rain or shine. Here are four things you should know when picking out a wireless doorbell. The transmission ranges with a doorbell chime unit (known as the receiver) to the transmitter (usually with a push button or similar functionality) varies depending on the product. Working range – Useful distance when transmitting through building walls. Full range – The distance where no physical obstructions like a wall obstruct the signal. For small to mid-size homes and depending on where you wish to position the transmitter, a wireless doorbell product needs to have a supported range of 65-85 meters. However, for larger houses or one where you wish to place the transmitter at a greater distance from the front door, then a 100-meter effect range is best. Furthermore, if you own a wireless doorbell and the signal is getting interrupted, then you might wish to consider purchasing a wireless doorbell range extender, which works much like a Wi-Fi extender boosting the signal by repeating it part way along its path. Waterproofing – The doorbell will be fitted outdoors. How much rainfall (or hailstones) does your front door or doorframe receive? Is it exposed to the weather and ends up getting wet frequently? If this is the case, then you’ll certainly need to opt for a waterproof doorbell as a high priority and exclude other doorbells that aren’t. Temperature – The average temperature outdoors can vary considerably throughout the four seasons. Depending on the product, many will have a minimum and maximum operating temperature to be aware of. Pick a wireless doorbell that suits the average temperature along with the highs and lows, especially with global warming where the extremes in weather continue to worsen. Video & Sunlight – For video doorbell features, the camera lens to see outdoors must not get blinded by the sunlight, otherwise, you won’t be able to view who’s outside. Fitting and testing once installation are complete must take this into account. 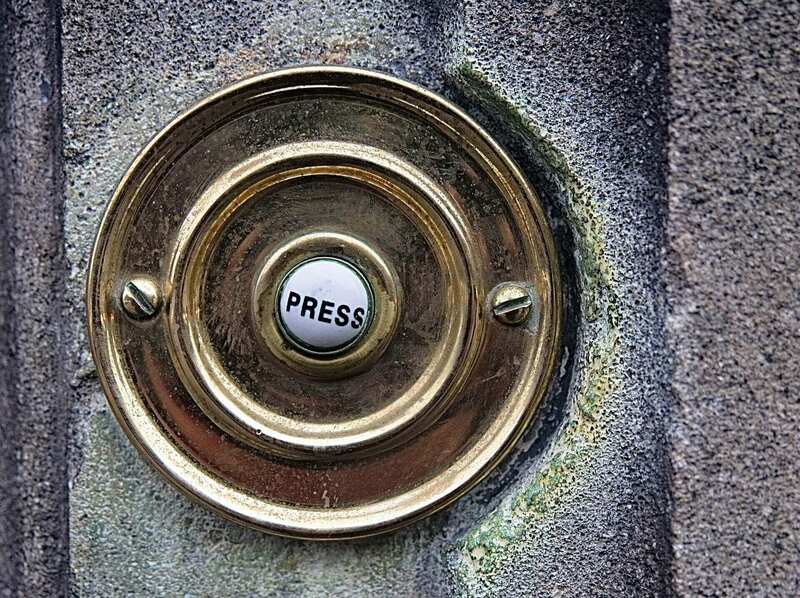 While getting a front door doorbell and a single receiver is often sufficient for most homeowners, that’s not the case for everyone. Depending on where you are situated in the house, it might not be possible to hear the chime if your walls are thick and/or you’re on the second or third floor. Another possibility is if you create a home office in the garden using a specially built prefab garden office structure. Being a distance away from the home’s backdoor, hearing the doorbell is unlikely. In both of the above examples, purchasing a wireless doorbell with two receivers solves this problem. It might also be necessary to get a wireless doorbell extender for the second receiver to ensure the signal isn’t lost outdoors too. Internet of Things (IoT) is a high priority for many homeowners. Therefore, a good question to ask is whether a chosen doorbell can integrate with some IoT systems and if so, which ones? If you have already committed to a particular IoT system, then you’ll most likely wish to restrict your product selection to only doorbell systems that will complement your existing smart home setup. Choosing the right wireless doorbell for your home is important. It needs to look good and work well, so it won’t let you down when someone shows up at your doorstep. Moving houses with kids onboard? Be prepared to help them experience a smooth transition!